Do you hear a ringing, roaring, clicking, or hissing sound in your ears? Do you hear this sound often or all the time? Does the sound bother you a lot? If you answered yes to these questions, you may have tinnitus. Loud noise: Exposure to loud noise can cause permanent hearing loss and tinnitus. Continued exposure can make the tinnitus and hearing loss get worse. Medicine: More than 200 medicines, including aspirin, can cause tinnitus. If you have tinnitus and you take medicine, ask your doctor or pharmacist whether your medicine could be involved. Other potential causes: Allergies, tumors, problems in the heart and blood vessels, jaws, and neck can cause tinnitus. The first step is to see an audiologist for an evaluation. A careful history and audiometric testing will lead to the most likely causes and best treatment for your tinnitus. You may be referred to an ear, nose, and throat examination to complete the diagnosis. Although there is no cure for tinnitus, audiologists, scientists, and doctors have discovered several treatments that may give you some relief. Not every treatment works for everyone, so you may need to try several to find the ones that help. Hearing aids. Most people with tinnitus have some degree of hearing loss. Hearing aids create a dual benefit of enhancing hearing and masking or covering up the tinnitus. The majority of patients with tinnitus receive partial or complete relief from their tinnitus with use of hearing aids. Tinnitus maskers are small electronic devices that look like hearing aids and are tuned to generate sound that masks or covers up the tinnitus. Like hearing aids, they may provide relief from tinnitus, but will not enhance hearing and may interfere with understanding speech. Many types of devices, such as fans, radios, and sound generators can be used as tinnitus maskers to help tinnitus sufferers to fall asleep or get back to sleep. Neuromonics Tinnitus Therapy. This treatment uses a combination of testing, counseling, and specialized masking to help you to effectively manage and gradually reduce your response to the tinnitus. This treatment can take six months or more to complete but has the highest rate of success. People with tinnitus may experience anxiety, depression, and other psychiatric problems. You may be referred to a psychiatrist or counselor as needed. Learning how to relax is very helpful if the noise in your ears frustrates you. Stress makes tinnitus seem worse. By relaxing, you have a chance to rest and better deal with the sound. Avoid anything that can make your tinnitus worse, such as smoking, alcohol, and loud noise. If you are a construction worker, an airport worker, or a hunter, or if you are regularly exposed to loud noise at home or at work, wear ear plugs or special earmuffs to protect your hearing and keep your tinnitus from getting worse. 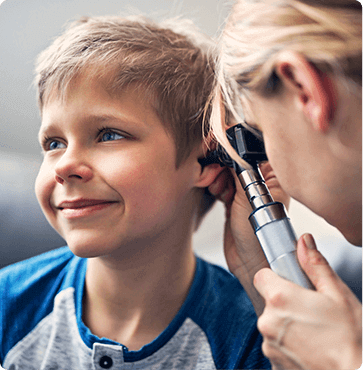 Request an appointment with an audiologist at Austin ENT Clinic to evaluate and discuss your tinnitus. You can use our online form or call 1-800-876-EARS (3277).